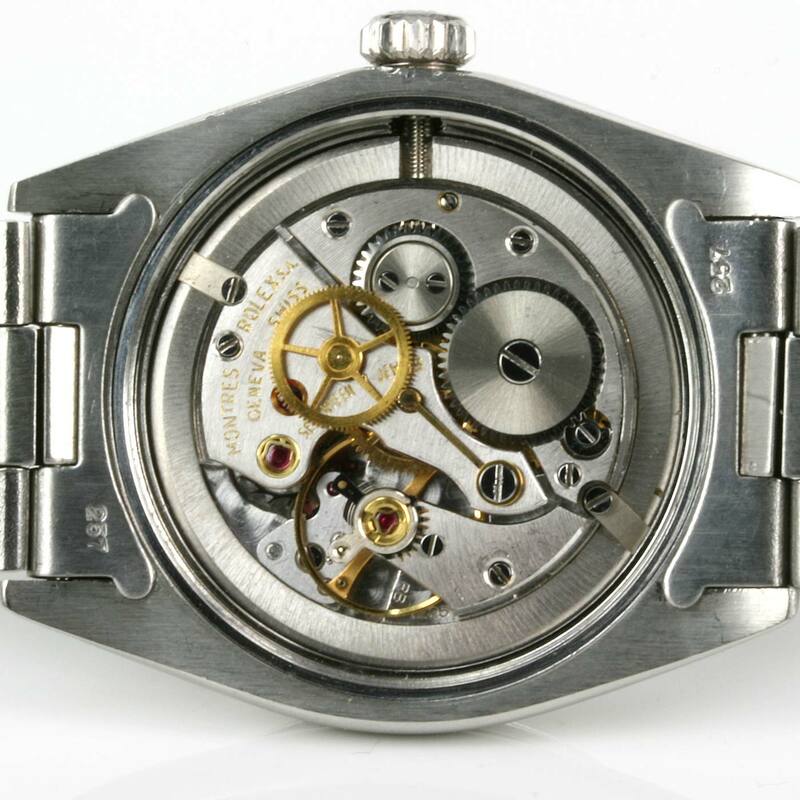 Product code: Q844 Categories: Sold Items, Sold Rolex Watches. Rolex have continued to always make such an iconic look and here is a great looking vintage Rolex from 1969 that still retains the characteristics of Rolex even well after 40 years. This is the Rolex Oyster Precision model 6426 with the manual wind movement. The dial is still so clean and easy to read and has the centre sweep seconds and index markers making this watch not only have a sport look to it thanks to the Rolex Oyster band, but also a lovely classic look that would look superb in the evenings as well. Fitted on the original Rolex Oyster rivet style band, the band is in superb condition with no flex or stretch as you would expect making this a very practical vintage Rolex watch to wear all the time. Inside is a 17 jewelled manual wind Rolex movement that has just come back from a full service, runs perfect and comes with our 12 month warranty. With such a timeless look and styling to it, this vintage Rolex is simply perfect for all occasions.